Write-on surface for Exp. Date and No. 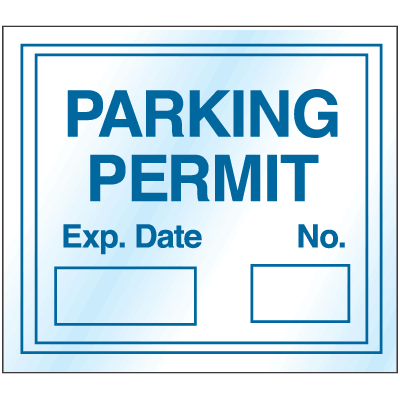 Unumbered self-cling permit reads "PARKING PERMIT"